The remarkable size of the Pyramid of Giza as well as the precision in its construction have been a source of wonder and, since its exploration by the mathematician John Greaves in 16381,, of the question, to what purpose was it constructed? As Greaves pointed out, when exploring the various passageways, Kings Chamber, and Queens Chamber as made available by Al Mamun's original excavations, "a very stately piece of work, and not inferior, either in respect of the curiosity of art or richness of materials, to the most sumptuous and magnificent buildings." The curiosity that the Giza Complex, consisting of the three pyramids of Cheops, Kephren, Mykerinos, as well as various diminutive pyramids, "contains more stone than all the cathedrals, churches, and chapels built in England since the time of Christ; as a feat in masonry it was not to be matched till the construction of Boulder Dam. Modern engineers are astounded by both the enormity of the problems involved in the construction of the Pyramid and the opticians precision with which these problems are resolved. "2 leads us to ponder the question, to what purpose? 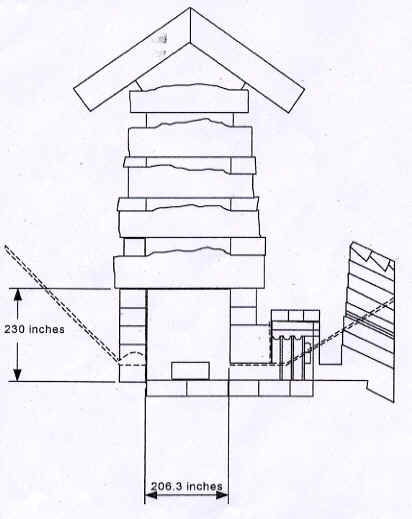 The various anomalies existent in the Pyramid of Giza, such as the ventilation shafts of the Queens Chamber not extending the complete distance to the exterior of the pyramid, the sulfuric smell and salt deposits resident in the Queens Chamber, the existence of the well shaft just at the entrance of the grand gallery, the five layers of massive granite slabs resident on top of the Kings chamber3, are not coincidental but pose the possibility that the great pyramid was constructed to serve some functional use. Recent researchers4 have, remarkably, posed a theory which encompasses, as a whole, not only the purpose behind the massive construction and magnificent precision of the great Giza complex, but, as well, exhibits a purpose for each of the anomalies noted in the great pyramid of Giza. Hydrogen gas resident in the Kings Chamber, the hydrogen being manufactured chemically in the Queens Chamber, therefore experiences a significant electromagnetic stimulant, at the frequency of the hydrogen atom, which, theoretically, has the effect of exciting the hydrogen atoms. The concept is, the hydrogen atoms in the Kings Chamber are excited (pumped to higher energy states) to the extent that a masing effect can occur. What is required at this point is a directed electromagnetic field through the Kings Chamber, its intensity magnified multifold by the excited hydrogen atoms. In essence, microwave energy at the wavelength of the hydrogen atom is directed from the exterior of the pyramid into the northern ventilator shaft (actually, wave guide) where it is guided directly into the Kings chamber. The existence of hydrogen in deep space is well known and significant work has occurred at the frequency of hydrogen (21 cm) in radio astronomy. The research which I propose to do is to apply my articles in electromagnetic theory, which are included in this package, to verify certain concepts of this theory. The first article 'Electromagnetic Scattering by a Triangular Aperture' in Applied Optics, is, in essence, an introduction of certain of the concepts to the second article, 'Electromagnetic Reflection from an Arbitrary Smooth Convex Cylinder', in JOSA. Maxwell's Equations, the focus of the article, which have been subject to various interpretations throughout the twentieth century, are known to be fundamental to the theory electromagnetic phenomena.7 Initial interpretations of Maxwell's Equations, due to Hertz, occurred in the 1880s and led to the Hertz Scalar and Hertz Vector formalism, which most researchers take to be fundamental. The idea of the JOSA article is to start again with Maxwell's Equations, attempting an interpretation broader than that of the Hertz formalism. The existence of the publication indicates a measure of success. In essence, the article begins with Maxwell's curl equations, eqns 1-6 on p. 1395, but multiplied by a unit step function. This unit step function is the key to the approach, placing a cylinder of arbitrary cross section in space as a discontinuity, figure 1 on p. 1396. The rest of the manuscript is analysis, determining all electromagnetic effects of this cylindrical discontinuity. The approach appears to be a natural one for verification of certain of the concepts depicted above regarding the Pyramid at Giza. Initially, we note the concavity of the faces of the pyramid at Giza (Exhibit 1 )8. This concavity has the effect of focusing the microwave energy incident upon the north face to a reflector, which, in turn, refocuses the energy into the northern wave guide. As the northern and southern wave guides are indeed cylinders in the definition of my JOSA article, I would begin by calculating the effects of the northern wave guide upon the electromagnetic field incident upon the north face. This calculation will yield the field as it exits the wave guide and enters the Kings Chamber. 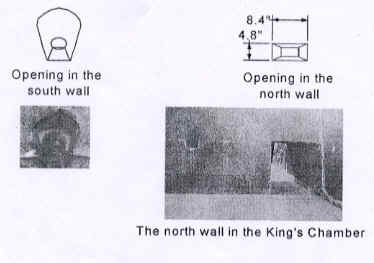 Exhibit 2 gives a schematic of the relationship between the King's Chamber, northern and southern wave guides, and the granite coffer resident within the King's Chamber, as well as certain measurements, whereas Exhibit 3 gives additional measurements of the King's Chamber and of the granite coffer resident within the King's Chamber. The measurements are from . 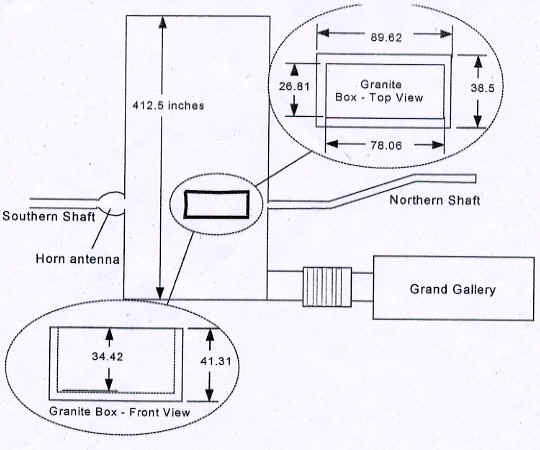 Measurements of the length and breadth of the northern wave guide, as well as photographs of the northern and southern wave guides as observed from the King's Chamber, are given in Exhibit 4 - 9. The theory has it that the electromagnetic field out of the northern wave guide is then incident upon the north face of the coffer, which will have the effect of a microwave lens upon the field. 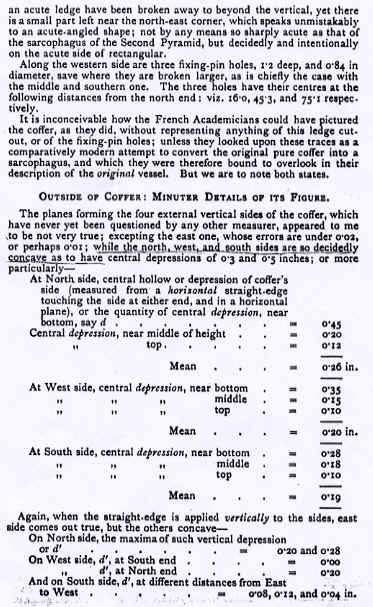 It is noted that Piazzi Smith took considerable effort to measure the dimensions of the coffer, noting specifically the concavity of its north face (Exhibit 5, my underline). I would put an equation representing this concavity into a step function for analysis, as in the JOSA article. For an initial case, I could view the concavity of the north face of the coffer as the arc of a cylinder, obtaining immediate results through application of the JOSA article. This result would give the divergence of the microwave beam in one dimension, due to its passing through the coffers north face. A more accurate determination would follow through modeling the coffer's north face as the arc of a sphere, however it would be accomplished only through generalizing certain concepts of the JOSA article - the cylindrical function solutions would be replaced with spherical function solutions - requiring more time. The diverging microwave field increases the area of its encounter with the excited hydrogen atoms, having a similar effect upon the field's amplitude. Similar analysis of the effects of the coffer's southern face will, hopefully, exhibit the convergence of the electromagnetic field prior to its entry into the southern wave guide. A by- product of this calculation will yield the optimal placement of the coffer within the Kings Chamber, hopefully giving a verification of what is known. dimensions of the walls and discontinuities at the corners may be taken into account, as in the JOSA article, to determine its resonance effect. The techniques as exhibited in the enclosed articles - Laplace transform analysis of linear differential equations, are not limited to the analysis of electromagnetic phenomena. Indeed, the equations for acoustic coupling are linear differential equations10 and, in fact, are known to be simpler to analyze than the electromagnetic equations of Maxwell, since the acoustic equations are scalar, rather than vector. Hence, similar techniques of using the multiple Laplace transform defined over step functions of arbitrary shapes can be used to determine acoustic coupling effects. Indeed, the approach may be ideal for predicting the simultaneous acoustic and electromagnetic response of an object. If the analysis on the Pyramid of Giza exhibits a feasible approach to an alternative energy source, the question arises as to its practical application. Is it possible to reproduce the phenomena, but not on such a grand scale?. Is it possible that the vibrational byproduct of some natural phenomena, such as a waterfall, can be stepped up to cause a masing effect upon a smaller model of the same engine? Alternative, clean energy sources are indeed desirable. 1. Peter Tompkins,Secrets of the Great Pyramid,25. 5. Peter Tompkins,Secrets of the Great Pyramid,209. 6. Christopher Dunn,The Giza Power Plant,129. 7. Max Born and Emil Wolf,Principles of Optics. 8. Peter Tompkins,Secrets of the GreatPyramid,110. 9. Piazzi Smyth,The Great Pyramid.